Table Tennis is one of the cleanest Sports in the world. 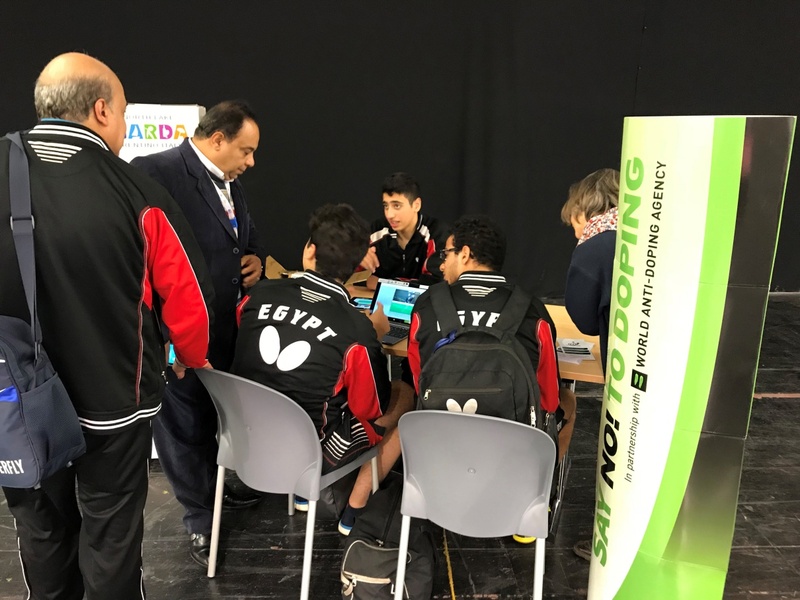 Françoise Dagouret, ITTF Anti-Doping Manager, explains why in a recent interview to the 2017 ITTF World Championships Organising Committee website journalist Luca Anthonioz. 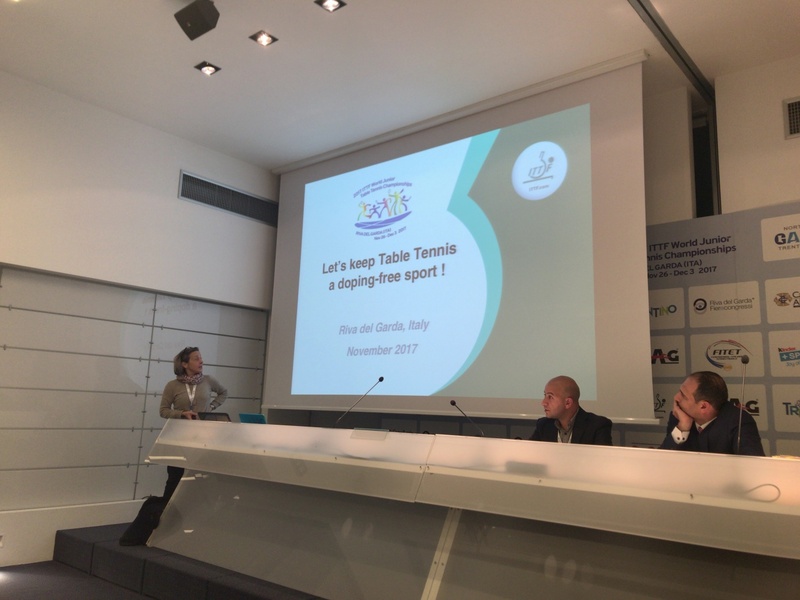 The ITTF Anti-doping Manager, Françoise Dagouret, continues her efforts to keep table tennis clean. During an interview with Luca Anthonioz, she highlights the importance of education to keep our sport far from doping. How many players may undergo to antidoping control during the entire competition? Françoise Dagouret: “Oh, I cannot tell you that (laughs)”. Can you explain how does the process work? “We decide how many tests to do and whom we control. The costs of these tests are paid by the Organising Committee. So we work side by side with them, normally a national anti-doping agency (like the CONI here), but more and more with privates agency. The samples are then sent to a laboratory chosen by the World Anti-Doping Agency (WADA). We have different samples to do like blood tests, EPO or growth hormone”. Table tennis is a sport less at risk than others. Could you give us some numbers or details to understand the situation? “You are completely right. This is clearly a less risky sport, in particular because endurance qualities are not essential. But there are two important things to be considered. First, we have to do deterrence; we have to show in the big events that we are here and make controls. Second, there is what we call the inadvertent doping. This means that some athletes don’t want to resort to doping, but they take some without knowing it. Rules are always stricter and being aware of these rules is very important. For table tennis all over the world, there are between 5 and 10 cases per year, including the para table tennis. To be honest, in a sport like this, I don’t think there really are players who want to resort to doping. Obviously, we have to be vigilant and continue doing tests”. Your job not only consist ofcontrolling athletes, but also in raising players’ awareness, right? “Yes, we try to do it. But the most of the job in this area is done by an ITTF’s education department. Not only players are target by this department, but also the entourage like coaches. Who better than the coaches can deliver information to the players? So, education is very important for us to reduce the inadvertent doping. Nevertheless, we have a ten-question survey (in almost 40 different languages) on a tablet about doping that we try to submit to the national coaches. But it is hard to find the good time to do it during a competition. We should maybe better try during training camps”. 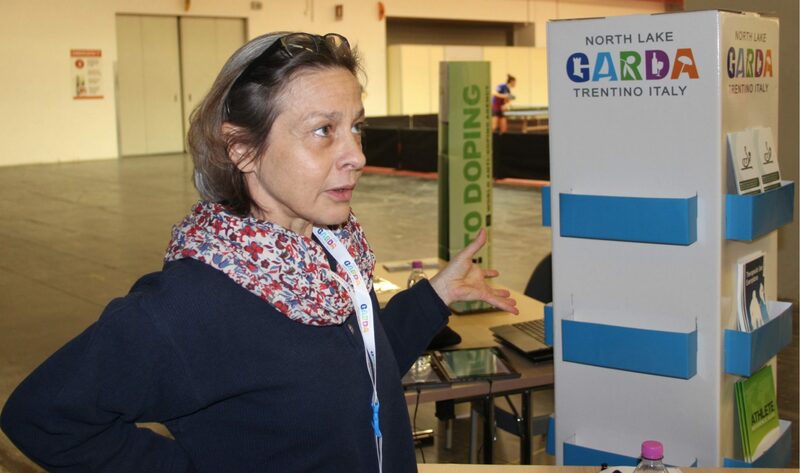 ITTF Anti-Doping Manager Françoise Dagouret educating the players at the 2017 World Juniors. Photo courtesy of Françoise Dagouret.